We provide FREE professional garden design with estimated costs for homes in Maidstone and surrounding areas including Medway,Tonbridge,Sittingbourne,Ashford,Canterbury and the rest of Kent. We are experienced garden designers and can produce plans for any size project whether it’s small garden design and ideas or larger landscaping projects. We can deliver the beautiful garden of your dreams with a stylish modern and contemporary design. Firstly we visit you at home to discuss your requirements,preferences and the available budget. We will offer advice and suggestions but our primary concern is making sure your wishes are paramount. We look at things from the perspective of professional landscape gardeners and our expert eye can advise on practical considerations and feasibility,utilities,access issues for heavy equipment,slopes,obstructions,groundworks and drainage as well as the financial implications and costs of using different building materials. 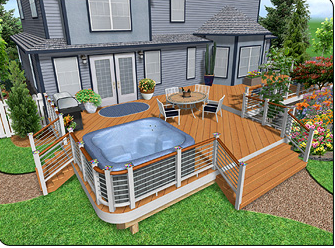 A Site Assessment is conducted and measurements are taken to calculate the total area and then a more detailed breakdown for specific features such as decking, patios, fencing, paths, lawn turf, water features and planting areas. Photos are also taken and a sketch plan made. Cost estimates* are based on all work being carried out by Benchmark Construction and Landscaping Services,and if required sub contractors of our choosing. Why Choose Our Garden Design Service in Maidstone? As we undertake all construction and landscaping on the project , and if necessary use our own sub contractors for specific roles , i.e. electrical work for outdoor lighting , we are able to offer significant cost savings in terms of labour and equipment hire. We can provide plans and estimates knowing the actual cost implications and number of staff required rather than vague estimates and guesses when having to rely on third parties and outside contractors. We are extremely well equipped with digging and other heavy equipment and we can easily factor in additional expenses when compiling estimates should other equipment hire be necessary. With 20+ years landscaping experience we have excellent contacts in the building industry and can source materials at the best possible prices and get the lowest rates for skip hire and green waste / rubble / soil disposal from licensed carriers. All these benefits and savings we pass on to our customers enabling us to provide the most competitive prices for garden design and construction projects in Maidstone and across Kent. 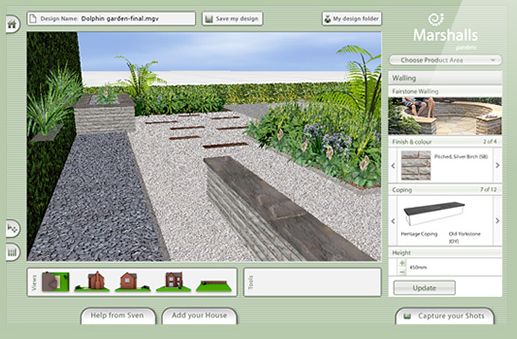 Unlike other garden designers in the Maidstone area we simplify the entire design,construction and management process. You will have ONE person as your point of reference throughout who will constantly liaise and keep you fully updated with progress. Should any issues arise they can be dealt with and resolved there and then. We are aware of the frustrations people have experienced when one person completes the design, followed by a chaotic mix of multiple contractors responsible for building different things and no one in overall control. Such a situation will never arise with a Benchmark landscape project. We are in control from start to finish. You can rest assured that we have the staff,resources and expertise to ensure the whole project is completed on schedule and with the absolute minimum of disruption to you and your neighbours. We set the Benchmark in high quality landscape design and construction.